A family dentist is similar to a general dentist, as each provides services related to the general maintenance of oral hygiene and tooth health. While both terms can be used interchangeably, we want our Urbana patients to know there is a slight difference between the two. There are certain dentists that restrict their practice to certain age groups, while a family dentist will typically care for the entire family—from young children to older adults. As family dentists, both Dr. EJ Stringer, DMD & Dr. Joseph Mullen are responsible for ensuring that plaque buildup around the teeth is kept to a minimum, that tooth decay is eliminated and cavities are filled, in order to maintain healthy smiles for the entire family. 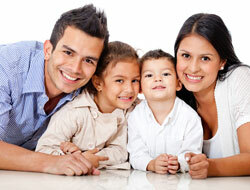 For more information on Family Dentistry in Urbana, MD call Pearlfection Dentistry at (301) 831-8303!